Shop AXE Body Spray for Men Apollo (1 oz. )1 oz. 4 for 5 dollars and 00 cents or 1 for 2 dollars and 00 cents 4/$5.00 or 1/$2.00$2.00 / oz. 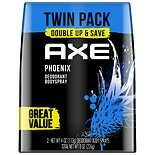 Shop AXE Body Spray for Men Phoenix (4 oz. )4 oz. 2 for 10 dollars and 00 cents or 1 for 5 dollars and 99 cents 2/$10.00 or 1/$5.99$1.50 / oz. 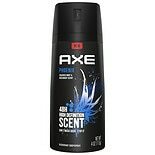 Shop AXE Body Spray for Men, Black (4 oz. )4 oz. Shop AXE Body Spray for Men Apollo (4 oz. )4 oz. 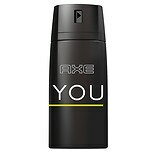 Shop AXE Body Spray for Men YOU (4 oz. )4 oz. Shop AXE Body Spray for Men Essence (5 oz. )5 oz. 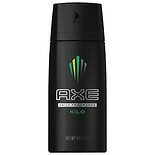 Shop AXE Body Spray for Men Kilo (4 oz. )4 oz. 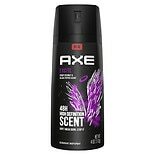 Shop AXE Body Spray for Men Excite (4 oz. )4 oz.